The recent trend for 'slow' (such as slow food as opposed to fast food) may also be applied to music, and most particularly to the music of Erik Satie, the French eccentric, who created his own most personal aesthetics. In his music, slowness does not evoke boredom, but, on the contrary, creates more focus, tension, in short a new dimension. 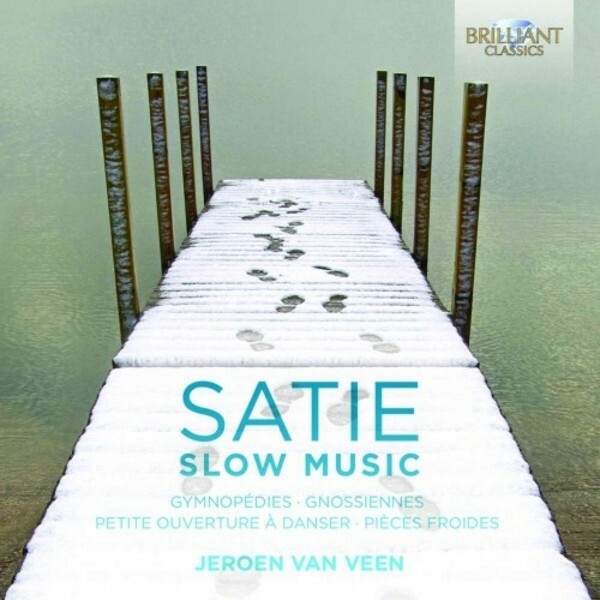 King of the Minimalists Jeroen van Veen chose the slowest music by Satie for this new recording - the Gymnop�dies, Gnossiennes and Pi�ces froides, the result being like a slowly cooked pot‐au‐feu, exquisite and intense. New recordings, including liner notes and artist biography.